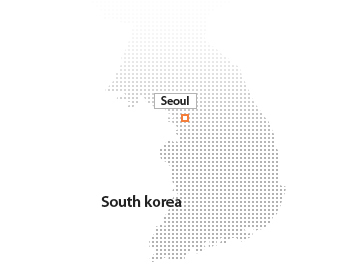 The population of South Korea is 48,422,644 (2005 estimate). The country`s population density of 493 persons per sq km (1,277 per sq mi) is one of the highest in the world. The majority of the population lives in the southern and western parts of the country. The annual rate of population increase in South Korea has dropped steadily from more than 3 percent in the late 1950s to 0.38 percent in 2005. Urbanization of the country has proceeded rapidly since the 1960s, with substantial migration from rural to urban areas; 80 percent of the population is now classified as urban. Following the official division of the Korea Peninsula in 1948, about 4 million people from North Korea crossed the border to South Korea. This sudden population increase was partly offset over the next 40 years by emigration from South Korea, especially to Japan and the United States. However, South Korea`s burgeoning economy and improved political climate in the early and mid-1990s slowed the high emigration rates typical of the late 1980s. Many of those who emigrated chose to return to South Korea. The country`s largest city, national capital, and chief industrial center is Seoul (population of 12,000,000 people), located in the northwest. Other major cities include Busan (population of 3,700,000 people), the country`s principal seaport, in the southeast; Daegu (population of 2,600,000 people), the principal commercial and manufacturing center of the south; Incheon (population of 2,700,000 people), the major port on the Yellow Sea, near Seoul; Gwangju (population of 1,500,000 people), the principal transportation and commercial center of the southwest; and Daejeon (population of 1,500,000 people), a transportation hub for the west-central agricultural area and a center of science and technology. Also significant is the southeastern city of Gyeongju (population of 300,000 people), which was the capital of the Silla kingdom that established unified rule of the Korea Peninsula in AD 668.